Itching to get away? We don’t blame you! Whether you want a romantic getaway, a relaxing girls’ weekend with old friends, or a golfing weekend with the guys, we’ve got you covered. 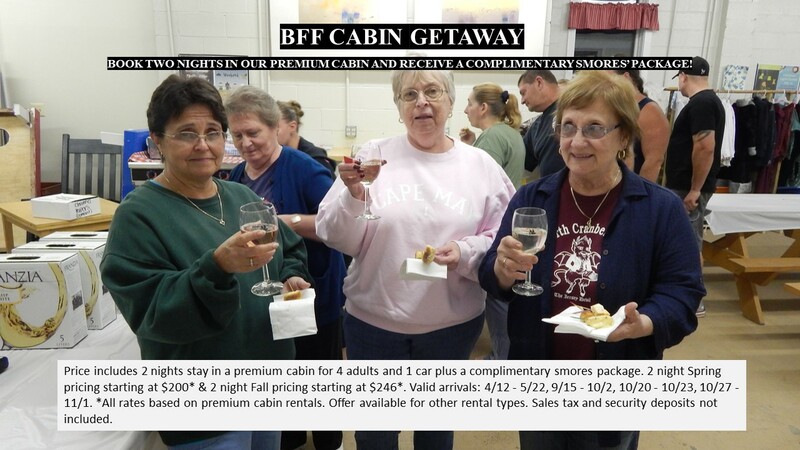 How about a Spring Break trip, an outing with the grandkids, or specials for unlimited camping throughout the spring? At Holly Shores Camping Resort, we have several Spring camping specials that we know you’ll love! 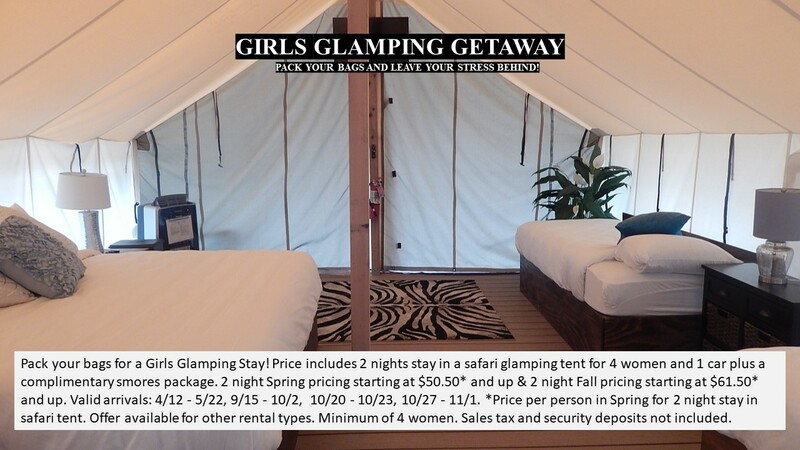 Check out some of our specials below, or browse our entire list of Spring camping specials here. And then pack your bags! How fun is this? Grab your three besties and experience camping like never before – just add the glam! Our Safari style tent and posh beds will make your experience fun and memorable at a price you can’t beat. And the s’mores are on us! 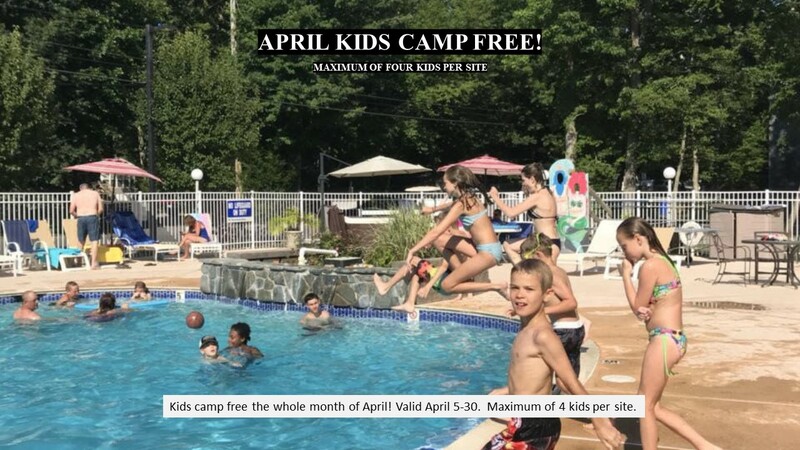 Yep, you read that right…during the month of April, kids camp free, so you can bring the whole family along without breaking the bank! Call us for details. 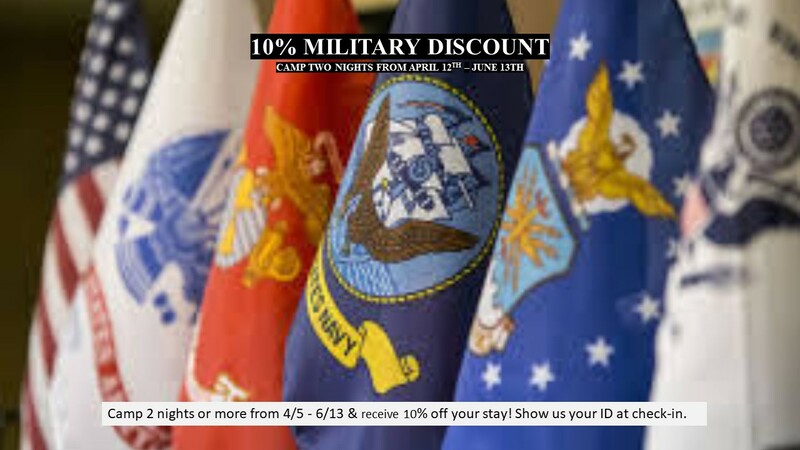 There’s never a time when we don’t appreciate the service of those in the military, so take 10% off your stay from April 5 to June 13. Thank you for serving our country! You’ll love our premium cabins! Enjoy a kitchenette, WiFi, and a full bath in this getaway package. You’ll also have AC/heat, a flat screen TV, and a variety of sleeping arrangements so that everyone is comfortable. We have several more Spring camping specials, so check them out here and contact us today. Spaces are limited, so what are you waiting for? Give us a call, and pack your bags. Our Spring camping specials are a perfect way to get your 2019 adventures off to a fun start. We can’t wait to see you!